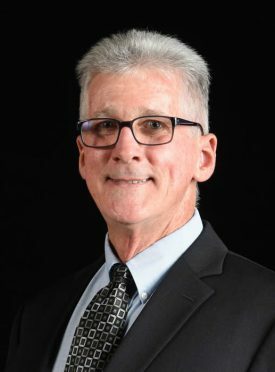 Share the post "Rutgers Alum Gene McAvoy (CC ’74, GSNB ’81) Elected VP of National Association of County Agricultural Agents"
At the 102nd Annual Meeting and Professional Improvement Conference of the National Association of County Agricultural Agents (NACAA) held in July in Salt Lake City, Utah, Rutgers alum Gene McAvoy was elected as NACAA vice president. NACAA is the professional organization geared toward Extension educators and other professionals who work in agriculture, horticulture, forestry and natural resources, 4-H youth development, community development, administration, aquaculture and Sea Grant, and related disciplines. McAvoy is the county extension director for the Hendry County Extension Office and has served with the University of Florida/IFAS Extension Service for the past 20 years as a regional specialized vegetable agent with the commercial vegetable industry in southwest Florida. McAvoy holds a BS and MS in Horticulture from Rutgers and has over 40 years’ experience in the vegetable industry. After leaving Rutgers, he spent nearly 14 years working with and training vegetable famers in West Africa, South Africa, Latin America and the Caribbean. He is active in a number of areas including pest and disease management, publishing the highly acclaimed South Florida Vegetable Pest and Disease Hotline. He also works closely with growers in areas of WPS compliance, worker safety training, food safety, fertilizer and irrigation best management practices, water quality and quantity and other areas of concern to the vegetable industry. McAvoy has earned numerous regional and national recognition and awards in his field. In 2008, he received the Distinguished Service Award from the National Association of County Agricultural Agents which highest honor a county agent can receive. McAvoy still has lots of friends and family in New Jersey and maintains connections to Rutgers. Rick VanVranken, agricultural agent at Rutgers Cooperative Extension of Atlantic County said, “Gene became one of our collaborating PIs on the first ethnic crops consumer studies in 2005 and has been collaborating with our group representing the southern Florida specialty crop producers ever since, running field research-demo trials and providing outreach to our southern cooperating farmers. The Ethnic Produce Production and Marketing Working Group was established at Rutgers NJAES to identify and quantify opportunities and barriers to the adoption of ethnic crops as alternatives for east coast farmers. Gene and his wife Donna live on a small ranch in rural Hendry County, Florida. They have three sons and three grandchildren.